What Are "Mulching" Mowers? Do They Really Provide Mulch? What are the arguments for buying mulching mowers? What types are there to choose from when buying? People sometimes run a mower over fallen leaves on the lawn in autumn. They then bag them up and use them for mulch. While this is a perfectly acceptable alternative to other leaf-removal methods (raking leaves, using a leaf blower, etc. ), it is not what we mean by using a "mulching mower." Mulching mowers are useful machines in caring for the lawn, but their purpose is not to provide "mulch" in the conventional sense. Usually, when we hear talk of "mulching," we think of spreading mulch around with a shovel to suppress weed growth in a planting bed. Mulch is a multi-functional material, valued not only for its use in weed control, but also for its ability to conserve moisture in the soil. Tree bark is commonly used for this purpose. But mulching mowers give the term a new twist. "Mulching" in this case is a bit of a misnomer. These machines do not make mulch; if anything, the product they leave behind is more of a compost. This source of organic matter breaks down and supplies your grass with nutrients. Using this type of lawn mower is one step you can take to keep your grass fed while avoiding the application of chemical fertilizers. The alternative to a mulching mower is a lawn mower that comes with a bag attachment to collect grass clippings. If you opt for the latter, you should deposit the clippings into a compost pile, so as to acquire free compost for the garden and avoid wasting community landfill space. The grass clippings left behind by a mulching mower essentially function as a lawn fertilizer, as if you were applying compost to the lawn. For this reason, it makes more sense for most urban and suburban homeowners to use a mulching mower, rather than bagging their grass clippings and dumping them in the compost pile. Essentially, mulching mowers eliminate the "middle-man," namely, the compost pile, instead providing you with compost directly. This means less work for you. The blades of mulching mowers are designed so as to leave behind finely shredded grass clippings. Such clippings can be left right where they fall, without causing harm to your grass. They do not contribute to thatch build-up; in fact, it may be hard to tell that they are even there. This can be a smart approach to mowing the lawn, but, if you choose this approach, remember to cut your grass at the right height. 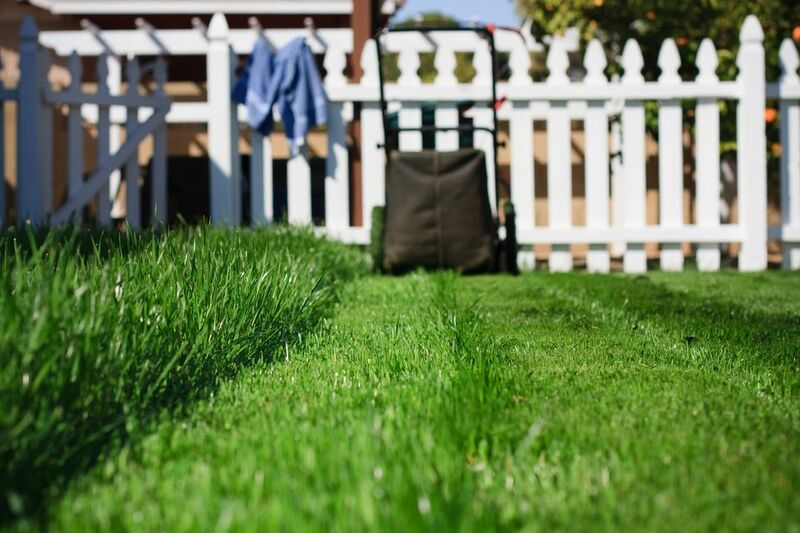 By contrast, because lawn mowers without mulching capabilities produce clippings that are bulkier and readily mat together, their clippings need to be removed from the lawn, so that the grass does not suffocate under them. This is the reason why people using neither a mulching mower nor a machine with a bag attachment (meaning that the clippings simply blow out of the chute and onto the lawn) have to rake up their lawn clippings. While this third alternative is surely a possibility, it would also be the most labor-intensive approach. Of course, when folks cut the grass with reel mowers, there is not much choice. For example, Greenworks has a corded-electric model (buy on Amazon), as well as a cordless model (buy on Amazon). If you prefer machines that run on gas, try the Poulan Pro (buy on Amazon). What's the Difference Between Single- and Two-Stage Gas Snowblowers? Help, My Snow Blower Won't Start Up! Drop Spreader vs. Broadcast Spreader: Do You Know the Difference? There's a Product to Get Rid of Tree Stumps, but Is It Worth Using?